This month I participated in a think tank salon hosted and moderated by Deborah Patton Executive Director of The Center for Applied Brilliance. The venue was the West Coast Green Conference 2010. Marc Hinshaw, architect, Jerry Michalski, relationship economy expert and Susan Goltsman, planner and landscape architect, joined me on the panel. We each were asked to develop our presentations around the idea of The Future of Community. The panel did not communicate prior to the presentation yet the amount of agreement in our perceptions of the future was synergistic. 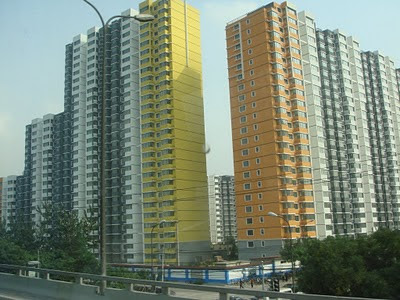 I started research on color and architecture. 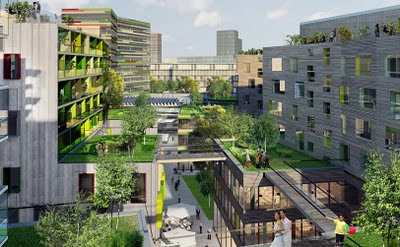 I found myself online looking at images from Europe and Asia of both environmentally responsible and colorful architecture. 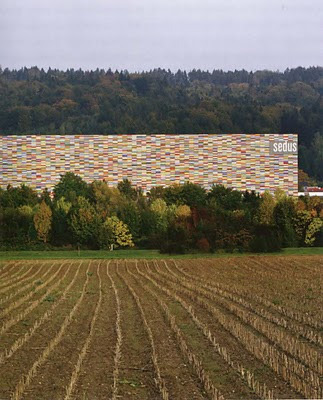 Why are other cultures so much more willing to use color on buildings than we are? 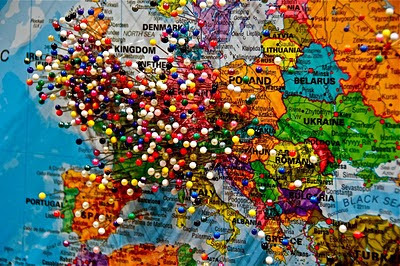 Is there a fear of color in our culture? I believe there is. 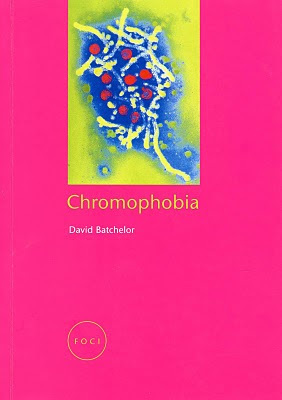 An excellent book supporting this argument is Chromophobia, by David Batchelor. Batchelor defines the principle of chromophobia as a fear of corruption or contamination through color that has lurked in Western culture since ancient times. 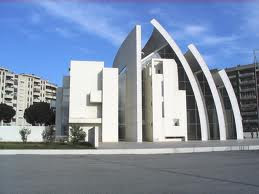 He argues that chromophobia is apparent in the many attempts to purge color from art, literature, and architecture either by making it the property of some foreign body, the oriental, the feminine, the infantile, the vulgar or the pathological or by relegating it to the realm of the superficial, the inessential, the cosmetic. Additionally, negative color statements have been made by people who are Icons in our field. 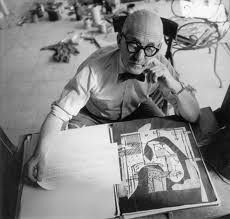 Even though Corbusier only produced one all white building, he is historically known for his crusade for white. 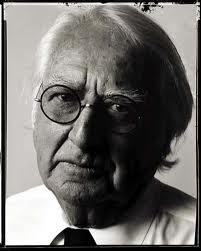 Richard Meier typically produces all white buildings and is a crusader for white. 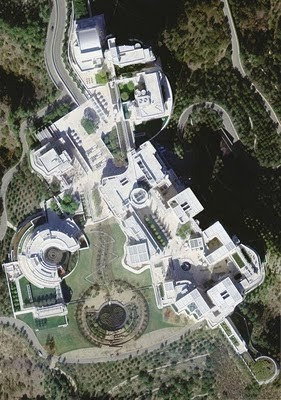 As we become more global in all aspects of our experience, I predict the fear of color in architecture may shift. With dwindling resources, and tight budgets, we have to rethink the materials and finishes we have available for construction. Color has the ability to trigger responses, and communicate volume, form, scale and detail. Color is in a position to assert itself as a viable tool to articulate architecture. I remain optimistic that color will be used as a resource in the creation of spaces that have both sensual character and memorable qualities. I will crusade for color ! color comrade! i am with you! Great post! I wholeheartedly agree that fear is a major component in the absence of color in our society. 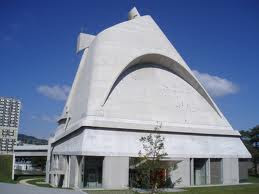 And the misperception that white is the best color to show off the shape of an architectural structure. I, too, will crusade for color!!! I would love to have attended that talk- sounds fascinating. Is there a recording of the panel anywhere online, perhaps? I will crusade, as well! I second that. I am all for a COLOR revolution! !